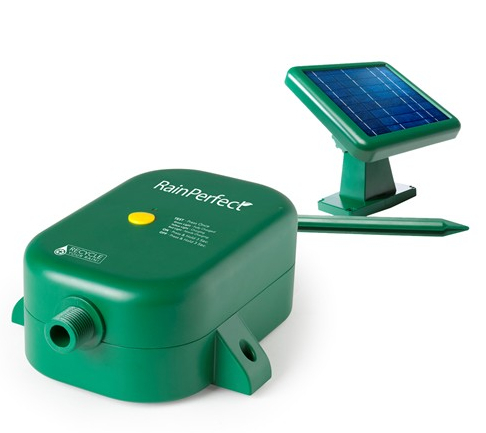 RainPerfect is powered by a NiMH battery that’s charged by a 3.5-watt solar panel (provides a full charge in eight hours). 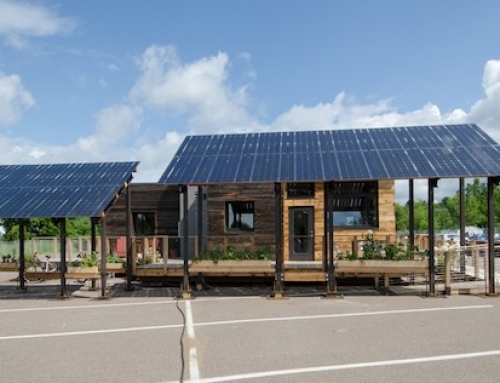 With 15 feet of wire, the solar panel can soak up the sun on a nearby wall or fence or on the ground. It doesn’t need installation right near the rain barrel. 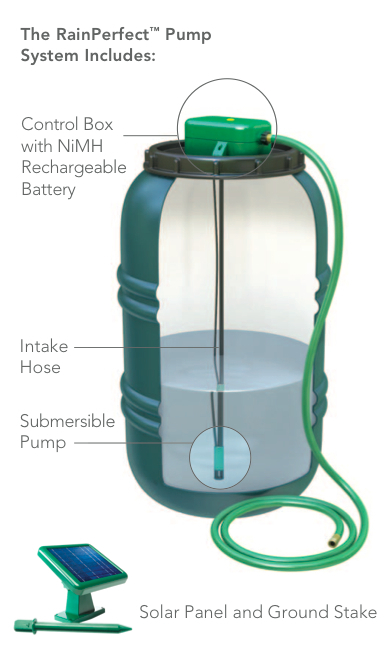 Also, “since it works with solar energy, there is no need for electrical work in order to have an electrical outlet for a rain barrel pump,” said Jeff Schopperle, Product Manager at ITT, manufacturer of RainPerfect. The control box mounts on top of most styles of rain barrels. Below that, an intake hose and pump drops into the barrel. 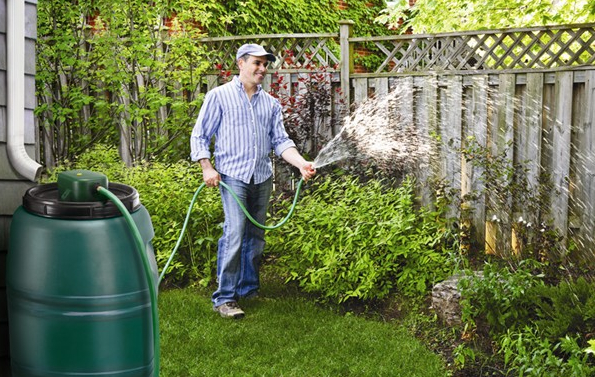 After attaching a simple garden hose to the control box, you should be able to draw up to 100 gallons on a single charge with a maximum pressure of 13 pounds per square inch. 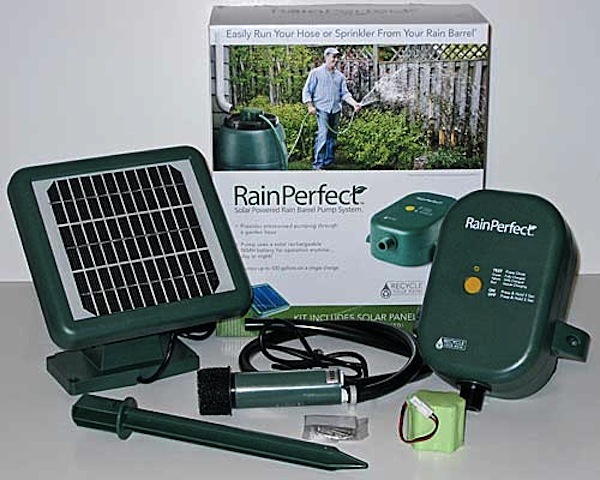 RainPerfect sells online and through select retailers, according to the manufacturer, with an MRSP of $139.00. Might want to check out that panel size. 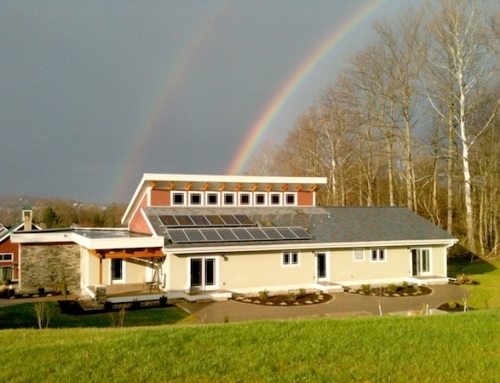 Since 200 w PV panels cost upwards of $500, its hard to believe this could be a 3.5 kw panel. Nice catch, I’ve updated that. 3.5 watts. I like it, but NiMH batteries never seem to last long in these solar devices. From porch lights to landscaping light I have had nothing be failure in the short term and replacement batteries never last long for those that actually have replaceable batteries. Good idea. Yet here’s my issue with rain barrels. A barrel holds fifty or so gallons. 1/2 inch of water over a 500 sq.ft. area. The standard amount of water to give a garden is 1/2 inch of irrigation. So a rain barrel is not effective for anything other than a few potted plants. It’s not that I think these products aren’t useful, I just want to state the limitations of a single rain barrel for those who think they can use them for their landscapes. 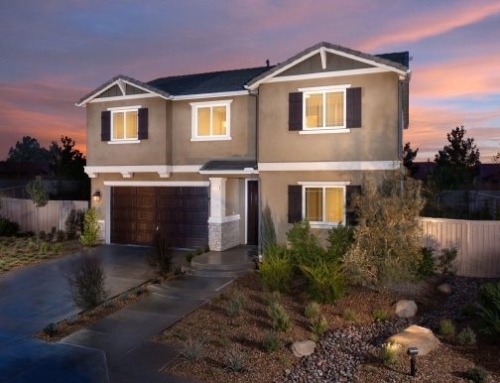 Plant drought tolerant plants instead.